Adam Grant is a supremely practical management guru with a well-deserved reputation based on his popularity as the youngest full professor at Wharton Business School, two best-selling books and a much-read Sunday New York Times contributor. (He might be the next Peter Drucker.) My very first BTBI interview was with Adam about his first best seller, Give and Take. He is once again on the list with Originals, his book on how non-conformists get their ideas honed and adopted. We liked the book so much that our APQC leadership team made it our book club selection for April-June this year. It was very rewarding to debate and discuss each chapter and how it might apply to our personal lives and leadership opportunities at APQC. 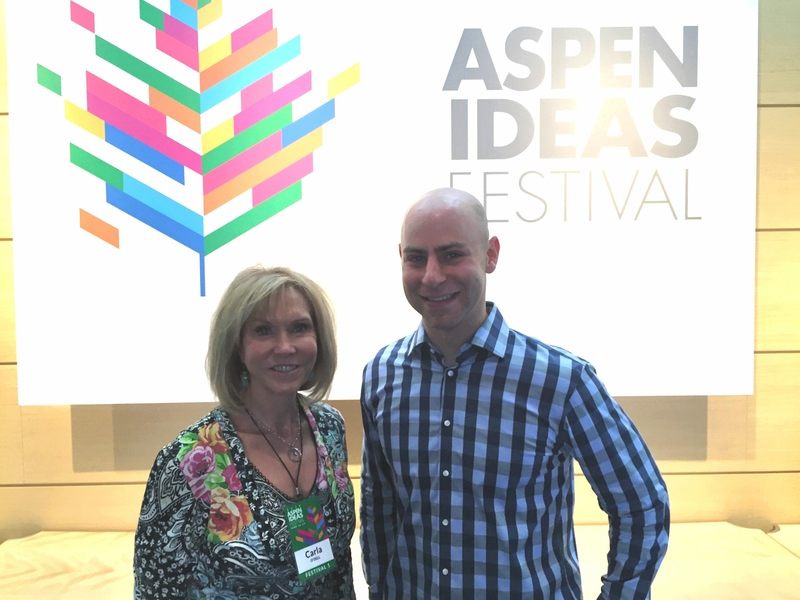 I caught up with Adam at the Aspen Ideas Festival where he gave one of his best talks ever: Adam Grant's Five Ways Non-conformists Move the World. To give you a flavor of the book, here they are in a nutshell. 1. Originals know they are a bad judge of their own ideas. Or as I would say it, everyone thinks their own baby is beautiful: we assume it must be obvious to everyone how fantastic our baby idea is. Wrong. We need to seek out honest and credible feedback. But where? We can’t trust our managers: they tend to be too negative*. Nor the wisdom of crowds: they tend to be too uninformed. So where can you turn for useful feedback? To your peers. They know what good looks like and if your idea has promise. Ask them. *Adam did suggest that a five minute brainstorming activity about something else makes managers think creatively and less likely to shoot down a novel idea outright. 2. Originals make the unfamiliar familiar. We tend to underestimate how much we know about our own ideas. We have context and background that listeners do not, and we forget to fill them so they can see the full picture. They look at us blankly when we start mid-movie. The antidote? Link the novel idea to something familiar. Connect the dots and build a bridge from the familiar to the original. For example, to sell the concept of The Lion King, one of the most successful Broadway shows in history, the concept was presented as "The Lion King is Hamlet with lions." 3. Originals fight group think. They keep themselves open to all ideas and feedback even when they don’t like what they hear. Adam suggested another exercise: get with your team and brainstorm what could kill your company (or your department or project). Think like a competitor. The exercise gives you some distance and puts you on offense rather than defense and less likely to be blindsided by the opposition. 4. Originals find allies in unlikely places. Sometimes the most disagreeable people are the ones whose opinion you should trust. They don’t pander to your ego and will give honest feedback. People who appear to be enemies could be your best friends when it comes to honing an idea. To see a video of Adam’s full talk at Aspen Idea go here. You can read my entire interview with Adam Grant in our Knowledge base. Check out the rest of my Big Thinkers, Big Ideas interviews on APQC’s Knowledge Base. Subscribe to the Big Thinkers, Big Ideas podcast on itunes or on APQCPodcasts on Podbean.